The end of my time as a public relations student is near. Classes ended yesterday. All that’s left are final exams and the practicum. The last day of class was bittersweet. I really enjoyed my time in the program and I’m sure there are a few people I’ll never see again once exams are over. Many of us, though, will remain friends (or at least acquaintances) for a long time. I’m ready to start my practicum and, after that, my career. With a bit of luck, one will lead to the other but that’s never a guarantee. After a lot of looking and several interviews, I managed to secure a practicum that I’m very happy with. For the time being, I won’t go into detail because I’m not sure what their policies are on identifying yourself as an employee online. For now, I’ll just say that I’m excited to be working for this organization and I think the project I’ll be supporting is very cool (and will probably give me some great pieces for my portfolio). You may have noticed that I haven’t updated this blog in a long time. You may also have noticed a bunch of random code along the top of the site. A coding error had prevented me from logging in to my control panel, leaving me unable to post updates. I tweeted about it and, weeks later, someone I’d never previously interacted with responsed to my cry for help. I was initially suspicious, as she had asked for my login information so that she could go in and see what the problem was. I expressed my suspicion, but a significant number of Twitter users vouched for her trustworthiness and I accepted her help. Rather than request my login information a second time, she gave me instructions by email and suggested that I could do a screen-sharing session with her if the suggestion in the email didn’t work. Her tip worked and I’m back online (and running a different WordPress theme, since the old one seems to have been the source of the problem). For all of this she asked for nothing other than a quick thank-you tweet. But I feel like a blog post is in order. So this is it. Thank you, @TheCre8tiveDiva for helping me get my site back up and running. My second and finale semester at MacEwan is already 1/4 finished. Very soon, I’ll be out in the work force. But, first, I need to complete a practicum. After the classroom portion finishes in April, everyone in the MacEwan PR program must complete a 2-month practicum placement. I’ve been thinking a lot about where I’d like to do my practicum. My internal debate is between doing a practicum at an organization that I’d like to work for long-term—a place that might be able to hire me full time upon completion of the practicum—and a small company that won’t be able to hire me but will allow me to have my hand in all aspects of the communications shop (and, I suspect, learn more than I could at a larger organization). I haven’t decided which way I’d like to go, but I have managed to develop a shortlist of organizations with whom I’d be happy to do my practicum. My top three choices are all completely different. One is a large charitable organization. One is a sole-proprietor consultancy. And the other is a large, for-profit corporation. Each of these organizations does different work, and the type of work I’d be doing for each is different. But I’m interested in all three. I have no idea if any of them would be able to hire me afterward (though I’m fairly certain that one of them can’t), but I’d be happy to work with any of them. The best part is that two of the three have actually approached me. I know they’ll be running a competitive process and I’m not guaranteed to get the position, but the fact that they approached me is a positive sign. I was worried, near start of this term, that I wouldn’t find a practicum that I was interested in. And I was even more worried when one of my early top choices said they don’t take practicum students. I’m no longer worried. I’m excited about having the chance to work for any of my top three organizations. But first, I need to finish my coursework. PR “Practitioner” vs “Professional” – Is There a Difference? Kirk Hazlett, writing a guest post on Deirdre Breakenridge’s blog, suggests that there is a difference between PR practitioners and professionals. Rather than being interchangeable terms, Hazlett suggests that practitioners are the tradespeople of PR—they’re skilled in the craft of PR but act primarily at the tactical level. Professionals have the same skills as practitioners, but they go a level deeper. Professionals think more strategically and guide clients toward more effective communications in the long term. Hazlett is accredited by, and a fellow of, the Public Relations Society of America. He’s no slouch in the industry, so he may be on to something. I’m not a fan of his choice of words, though. In the context of the PR industry, I view “practitioner” and “professional” as synonyms. What Hazlett calls a PR practitioner, I’d call a PR technician. Technicians primarily write, edit and produce public relations messages. What he calls a PR professional, I’d call a PR manager. Managers are responsible for planning and managing public relations campaigns. Regardless of whether you’re a technician or a manager, you need to be able to see the big picture and think strategically in order to be effective in your role as a public relations professional. What do you think? Is there a difference between PR practitioners and PR professionals? Students in the MacEwan University public relations program are on campus for a short time. We have to take advantage of the opportunities available to us in that time. After eight months we’re off to our practicums and then, hopefully, the workforce. Here are three ways to make the most of your time as a student at MacEwan. Joining a professional association gives you access to professional development, conferences and a network of fellow practitioners from whom you can learn, find jobs and share war stories. Membership also shows that you’re serious about the profession and will provide credibility while job hunting. Both the Canadian Public Relations Society (CPRS) and the International Association of Business Communicators (IABC) have student membership rates. They also offer a discounted rate for your first year after graduation—which is only available if you were a student member. One of your first assignments in the program is to interview a PR practitioner with at least five years of experience. Use this interview as an opportunity to learn from someone with experience in the industry. Develop an on-going relationship with your interview subject. Many PR practitioners in Edmonton are happy to talk to students, so keep in touch with them after the interview. If you’re looking something more formal, CPRS Edmonton has a mentorship program. You have the same students in all of your classes, so get to know each of them. You’ll make new friends and you’ll develop a professional network of 20 – 30 peers. These are your future coworkers, employers and employees. Get to know them and stay in touch after graduation. We’re only on campus for a short time. Take advantage of the opportunities to learn, network and gain experience outside of the classroom. You’ll get a head start in your career and may even make some new friends. 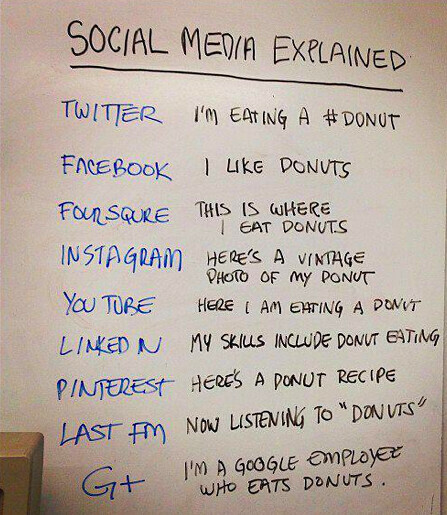 NOTE: This post was originally published on September 25, 2013 for my PR & Digital Media course (on a closed, course-only website). People don’t often think about how to be creative. Creativity is thought of as something you either have or don’t have. But there is a process to being creative, and PBS Digital Studios lay it out. Google announced a major overhaul to its search algorithm today. Known as Hummingbird, the update represents one of the biggest changes to Google’s algorithm in years. Let’s back up for a moment. The update is important. From what little we know about it, it represents a huge leap forward that will likely make Google search results better than ever. According to TechCrunch, Hummingbird “focuses on parsing searches as complex questions.” TechCrunch also reports that, while it was only announced today, Hummingbird has been in place for a while—at least a month, according to Search Engine Land. 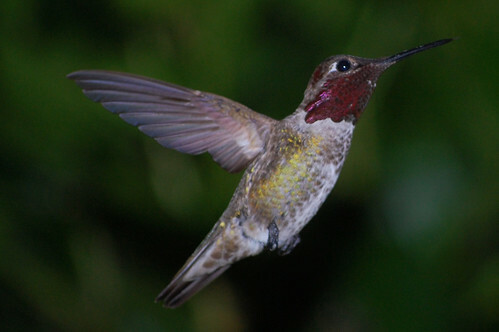 Hummingbird means that searching Google has likely become much easier for many people. Ask a direct question and Google is now more likely than ever to give you a specific answer. But for those of us who create content and use the web for marketing, communications or public relations, Hummingbird doesn’t mean much. Old school search engine optimization (SEO) tactics still work, for the most part. And, ultimately, good SEO still boils down to writing well for the web. Content is king. It was true in 2009 and it’s true in 2013. Take it from someone who has been writing for the web for over a decade. Organic SEO was once my bread and butter—it literally paid the bills. I may not follow the industry blogs as closely as I used to, but there’s a reason that this site is still the top result for [adam snider], despite the fact that some dude writing for Politico shows up in my Google Alerts far more than my own content does. Make your content user-friendly and search engines will like it. It really is that simple. You can tweak your metadata and play around with <h1> versus <h2> tags. But if your content is scannable, objective and concise it will be nearly as friendly to search engines as it is to the humans you’re trying to reach. Hummingbird is a huge leap forward for Google. But it doesn’t matter to those of us who want people to read what we write on the web. Content is king, now and forever.